Patrick Swayze may be one of the sexiest movie stars around today, but he can’t play mean blues guitar. 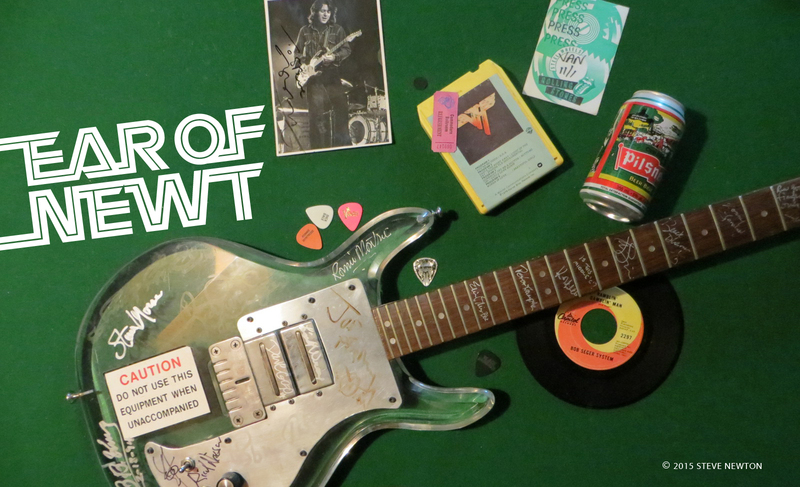 Jeff Healey might not be your typical matinee idol, but he can play mean blues guitar–as anyone at the Town Pump will discover this weekend (July 1 and 2). Put the two of them together in a juke-joint movie called Roadhouse and you might be on to something. And it could be something big! As it turns out, noted record producer Jimmy Iovine has done just that. After Healey’s band signed with Arista Records last December, they sent Iovine the video for their song “See the Light”, in the hopes that he would want to produce their debut album. About that same time, Iovine had received a script for Roadhouse, the soundtrack of which he was going to produce. As Healey explained on the line from L.A last week, that’s when his connection to the film first took shape. As well as playing the familiar part of a blind, sitdown blues guitarist (which he is), Healey also has a major speaking role in the film as bouncer Swayze’s good buddy. Jeff says the star of Dirty Dancing is far from your typical big-shot movie star, even considering the fame that came with that film’s enormous success. Healey, who had done some stage acting in school, and a little bit of TV work, says that his band (which includes bassist Joe Rockman and drummer Tom Stephen) plays about 12 songs in the course of the movie, and will probably have five of those used on the film’s soundtrack album. Although Healey’s band does one original song in the movie, a tune called “One Foot on the Gravel”, the majority of the songs are standards from the ’50s and ’60s. At the same time as they were shooting the movie in L.A., Healey and the boys were recording their own album as well. Because Iovine had to go off to produce an album by a band called U2, Greg Ladanyi (Toto, the Church, David Lindley) was called in as producer. Ever the modest sort, Healey plays down his role as guitar wizard on the album, which is expected to be out sometime in August. 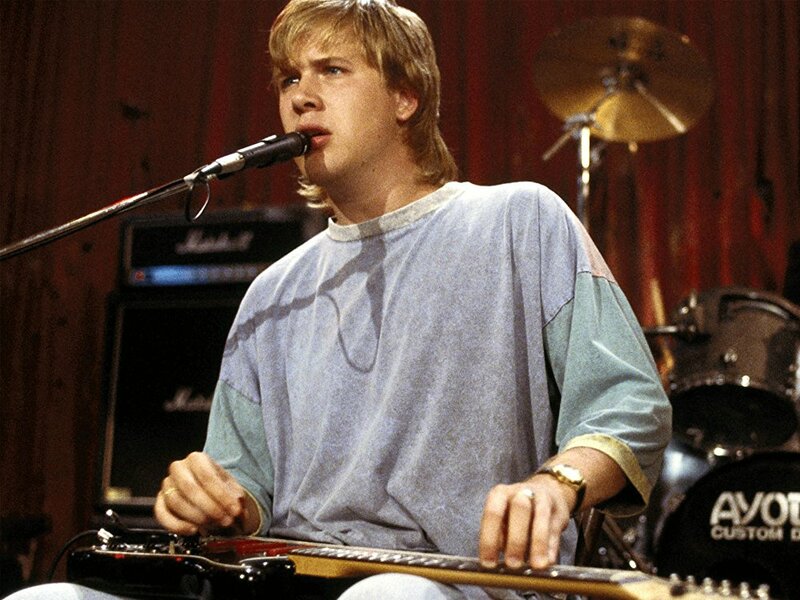 Unless you’ve had the opportunity see Jeff Healey play live at one of his previous Vancouver appearances–he was here during Expo and also played the Yale last year–you probably only know him from the video of “See the Light” that has received strong airplay on MuchMusic and the like. For the uninitiated, it’s a mind-boggling showcase of Healey’s unconventional playing style, which includes using his left thumb like a fifth finger on the fretboard. On the video, he also stands up and plays with his teeth. His unique style and raunchy sound bring Jimi Hendrix to mind, but Healey says Jimi wasn’t that big an influence. Just seeing Healey play is one of the greatest joys blues-rock fans can experience nowadays. Fortunately–even with the lucky break he got doing Roadhouse–he doesn’t plan to shelve his guitar in favor of making movies.